Where and what type of home we live in is one of the starkest divides of our society. For the past thirty years, there has been a consistent policy of encouraging home ownership, to the detriment and neglect of private renting and social renting. A recent report puts the UK amongst the highest costing countries for housing in the EU. Now, the perfectly legal eviction of 40 renting tenants in Norwich has brought home to us all the pitfalls of renting and why the system needs reform. One hundred years ago only 20% of people owned their home and 80% rented. Thereafter, progressive politicians regulated private renting and moved tenants out of slums and into modern social and council housing. The1980s saw the decline of social housing and the 1990s the revival of private renting following deregulation of the market. Since then, private renting has expanded to around 14% of housing. However, in the last few years, since the credit crunch and the collapse of the dream of the property-owning democracy, a steady stream of problems has been uncovered by journalists and researchers. 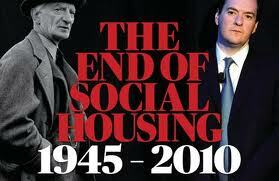 As inequality grew under Thatcher, Major, Blair, Brown, and now Cameron, so to has the ability of people to meet their housing needs. Research by the Intergeneration Foundation pointed out that rent has increased in the past 8 years by an average of 50%, and more in areas where there are jobs (such as London). Shocking stories of tenants renting sheds, the struggle to pay rent, and rogue landlords emerged. The most recent case in Norwich of these issues has emerged from Earlham House, a 1960s retail and housing development in the heart of theGolden Triangle. In recent years, the condition of the development and the public space around it deteriorated to unacceptable levels. Massive pot holes in the car park were a hazard not just to people walking or cycling, but were doing significant damage to the normally resistant car. According to local Councillor Andrew Boswell, “the complex arrangements of ownership and leasing made enforcement difficult, if not impossible”. In 2009, after years of work bylocal councillors, the City Council acted and inspected the flats. Finding them to fall below acceptable standards for housing, the Council issued improvement notices, which were ignored. They took the landlords to court and had them fined £15000. Still, there was little or no action. Then in 2011/12 there was hope. 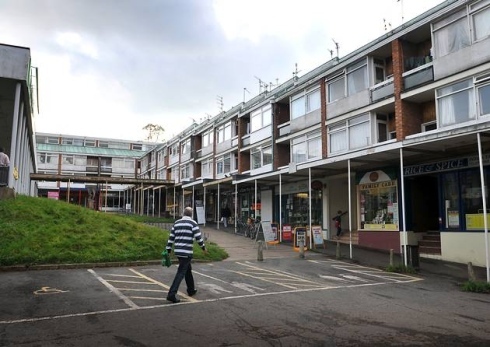 Hope that a new owner for the site would bring the housing up to liveable conditions and be sensitive to the needs of their tenants, both in the flats and the shop units. Unfortunately, the new owners decided to evict their tenants. Like most other private tenants on an 'assured short-hold tenancy',they could be given two months notice to leave their homes. Then, commercial tenants were issued large repair bills – again, completely legally. The situation is not unique. Across the UK, tenants have found their perceived rights to be much less than thought and campaigns have sprung up to protect tenants in the private rented sector against abuses by landlord and to campaign for better regulation. Earlier this month, Councillor Andrew Boswell (a One WorldColumnist) launched a petitioncalling for better regulation of private renting in response to the Earlham House issue. He is not the only one calling for action. A few weekslater, Ken Livingstone called for a cap on private rents, and repeated campaigns by civil society organisations have called for comprehensive action to tackle conditions in the private rented market. Some Councils and organisations are taking action. Newham Council and the Welsh Government have both announced a controversial compulsory licencing scheme for landlords. Local blogger and housing lawyer,Tessa Shepperson has written at length about “the case for accreditation” in her ‘BiggerPicture’ series. Others involved in progressive politics have called for a return to rent capping in the private sector – a system which ran from 1977 until 1988 had the local council establish a maximum rent with a tribunal system to deal with disputes. Elsewhere in Europe and the rest of the world, different legal structures and regulations have produced good quality and affordable private rented housing – Sweden, Germany, and France all being good examples. It has long been my hope that we will see organisations and campaigns across the UK establish a coordinated campaign to improve the private rented sector. Our society has for too long been divided by the housing we live in. We all need homes, not just places to stay in. The One World Column raises issues such as international development, social justice, globalisation, peacemaking, human rights, international relations and the environment. Our six columnists intend to provide a positive voice for the future and to represent a wide group of concerned Norfolk people. We welcome feedback and healthy debate! Rupert Read is Reader in Philosophy at the University of East Anglia. His book Philosophy for Life explores a series of contemporary political and cultural issues from a philosophical perspective, arguing that philosophy is not a body of doctrine, but a practice, a vantage point from which life should be analysed and, more importantly, acted upon.